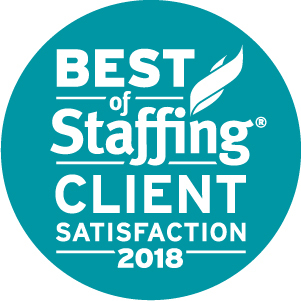 Clarity Staffing, a leading employment agency specializing in temporary and permanent job placements announced today that they have won Inavero’s Best of Staffing® Client and Talent Awards for providing superior service to their clients and job seekers. Presented in partnership with CareerBuilder, Inavero’s Best of Staffing winners have proven to be industry leaders in service quality based entirely on ratings by their clients and the employees they’ve helped find jobs. On average, clients of winning agencies are 2.3 times more likely to be completely satisfied, and job seekers who work with winning agencies are 1.7 times more likely to be completely satisfied with the services provided compared to those working with non-winning agencies. Less than 2% of all staffing agencies in the U.S. and Canada have earned the Best of Staffing Award for service excellence. 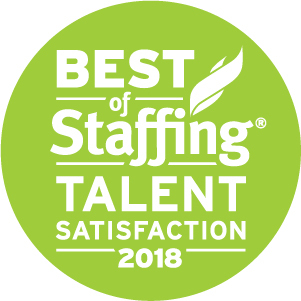 Dedicated to connecting people with the best-matched job openings at US companies, Clarity Staffing received satisfaction scores of 9 or 10 out of 10 from the majority of clients and candidates surveyed. The survey was distributed to all active candidates and clients. “Our team is humbled and honored by the meaningful feedback this survey provided. We each strive to maintain strong relationships with all clients and candidates in order to make the best matches, every day. Clarity has grown substantially this past year, with highlights being more first-time clients than ever and a specialized legal vertical. We have a lot more in store, and this award is an indication that our quality service has been and will remain our top priority as we grow.” says Moira Dorst, CEO of Clarity. Known as one of the top ten recruiting firms in New York City, Clarity is a woman-owned, boutique staffing firm that focuses on placing both contract and direct hire office support professionals. Since 2000, Clarity's core recruitment business areas have been administrative, human resources, accounting, finance, marketing and legal. Clarity works with top talent and the best companies in the Nation throughout all stages of their growth. Spanning all industries ー from media to technology, financial to consulting, communications and creative, to real estate and law firms ー the Clarity team aims to understand each client by taking a deep dive into their individual corporate cultures. Clarity solves for recruiting challenges with extensive industry knowledge, a transparent approach, and an emphasis on quality service.